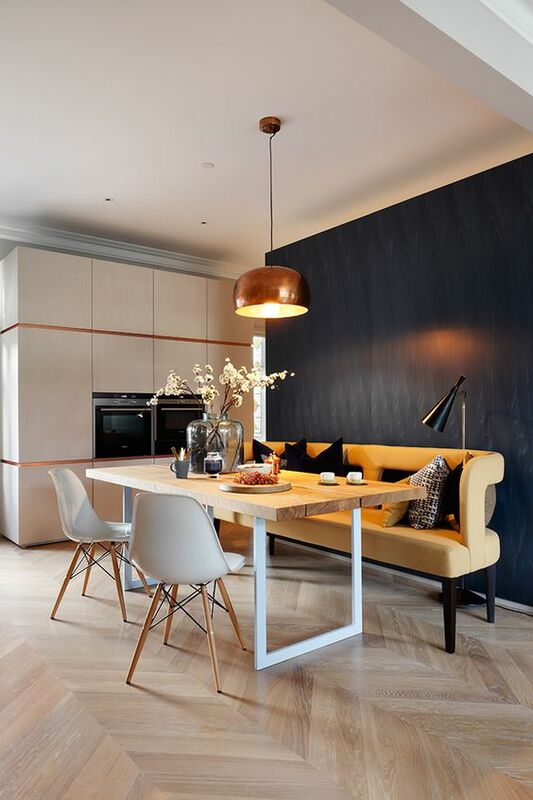 We love mixing up the traditional dining table and chairs with varied styles of seating. Using a combination of different styles of seating can create a more approachable design and unique look. Lately we have been all about the bench! 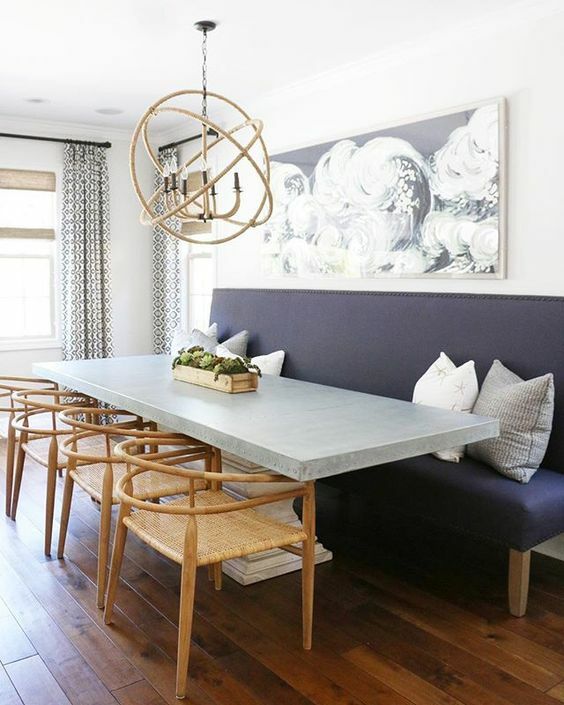 When there is a lack of room, it is a great space-saving solution to put an upholstered bench against a wall and build your dining look that way. This solution reads intentional and looks fantastic. How gorgeous are these natural and black cane chairs paired with this vibrant turquoise corner bench? 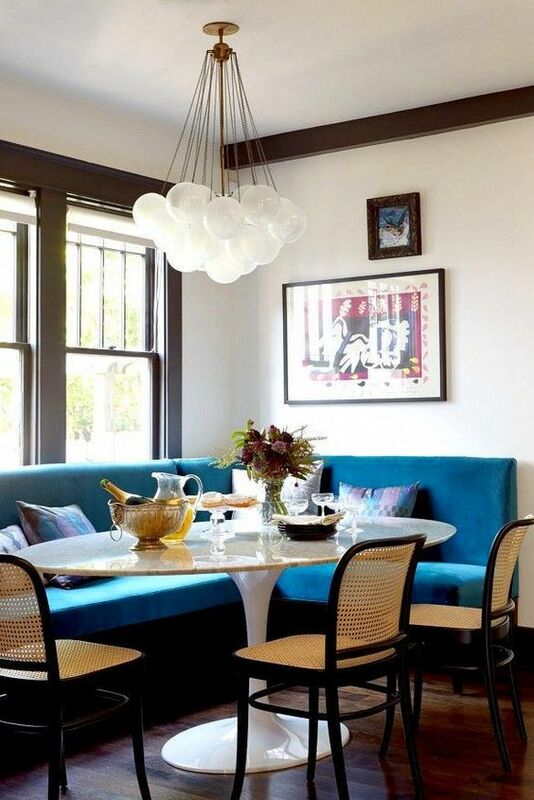 We love the oval tulip table and light fixture to top off this charming space. A more mid-century modern vibe is displayed in this dining space. The mixture of finishes and styles creates a funky eclectic feel. This dining look displaying a channeled bench and more formal dining armchairs feels polished. Although the dining arrangement is informal, the fabrics and tailoring make it feel sophisticated. This neutral dining space feels warm and welcoming. 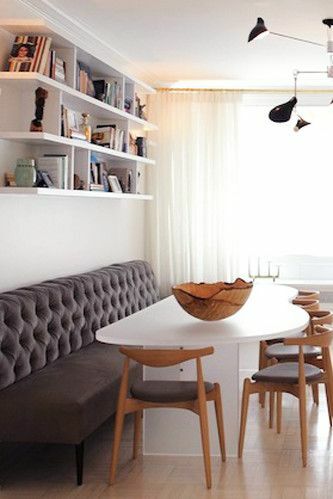 We love the addition of shelves above the bench seating to store books and decorative objects.